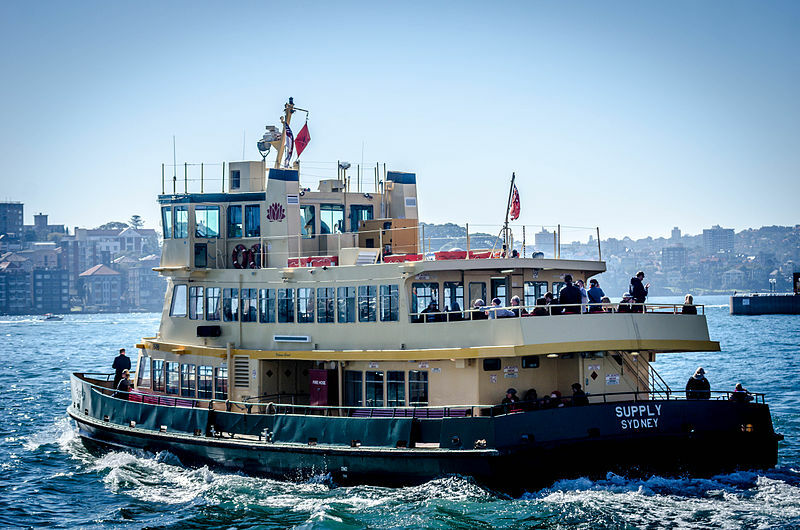 Dot Bishop VK2DB & the Sydney Harbour Ferry Contest. Congratulations to YL award recipients at the South African Radio League AGM April 2018. Congratulations & Welcome to our new ladies – hope to hear you on-air soon. 2018 is the 66th Anniversary SAWRC (South African Women's Radio Club) founded June 2, 1952 #1 yl.beam news-letter was emailed June 2011, 7 years later number # 59, will be sent globally to more than a thousand amateur radio ladies. Of course I can't be sure how many will survive spam and other filters or how many will be read, especially by non-English readers. BUT judging from the added activity on various Facebook pages and letters received, I believe we AR ladies are spreading our wings and constructing a global network. HURRAH for us as we celebrate 7 years of friendship and a big thank-you! International Women's Day showed the ladies networking on-air and more recently the North American ladies met up at Dayton. We look forward to reports and pics (lots of please, with call-signs) from Ham Fair Friedrichshafen (Germany). Not forgetting that our New Zealand sisters have an annual meeting during June. Remember ladies its all about you, so share your news, events and woes. I received a request to re-send some of last months letters; let me know if you have problems,. suggestions are welcomed. The ANZA Net (Australia, New Zealand and South Africa net) operates on 14.183 at 0515UTC every day with an additional net on 21.205 at 0415 on Saturdays. We do accept any check-ins from around the world and usually get quite a few from the Pacific Islands and the US. South Africa was particularly active today. Lyn (VK4SWE) is the usual net control on a Monday, with me filling in if she is not able to make it. She runs the resort on Sweers Island in the Gulf of Carpentaria and sometimes is too busy to attend to the radio. The guys who outnumber us two, have called Mondays 'Ladies Day' on the net and we have loads of fun. We also have a ROTA section at approx 0615 on the same frequency, depending on conditions. ROTA means 'recipe on the air', where we swap recipes. group of members of the Waverley ARS) and get ‘wharf points’. The photo shows the group sitting under their shady gazebo near the Rose Bay wharf. To get points for an eyeball contact you had to shake hands and log the contact. We did that with the group at Rose Bay and then it was off to Manly, where we had a late, late lunch at the beach. Whilst our contest activity seemed minimal (the photo shows a reflection in a ferry window of me trying to use my radio — I did try), we just simply enjoyed being on the harbour on such a beautiful day, sitting back and watching all the harbour traffic — sailing boats, big boats and little boats; it was rather crowded both on the water as well as on the ferries. 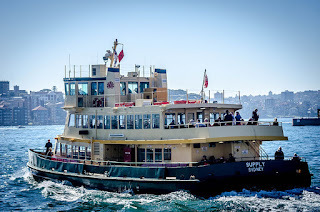 Deciding it was time to leave for home, we caught the slow ferry back to Circular Quay where, with about 5 minutes to spare before the contest closed we saw a Hand-Held and clipboard and quickly exchanged numbers. While we talked to him, and with about 90 seconds before the deadline, 4 more Hand-Helds and clipboards rushed off a ferry. We all shook hands and exchanged numbers, scribbling as fast as we could while laughing and looking at our watches. We had a fun day, each made 11 eyeball contacts and think we’ll try again next year with a headset and clipboard. We found it was far too noisy on the ferry decks to hear a Hand-Held’s speaker and we just didn’t have enough hands to hold everything you needed. Next year, maybe we might even start a bit earlier. Ruth Willet (age 21), a student at Kettering University in Michigan., has been able to learn more about the field of wireless communications from professionals thanks to a scholarship she recently received. The Radio Club of America’s Young Achiever Award allowed her to attend the International Wireless Communications Expo (IWCE) in Orlando, Fla.,(USA) March 5-9. “It was an eye-opening experience for me to be exposed to the field of wireless communications and to be introduced to the discussions taking place among first responders and the government regarding emergency situation preparedness,” said Willet, who is double majoring in Mechanical Engineering and Engineering Physics at Kettering. Some of Willet’s favourite forums that she attended discussed in-building wireless coverage, smart maps for in-building awareness, radar, and radio interference. One of the highlights of the week was attending a Women in Wireless workshop. 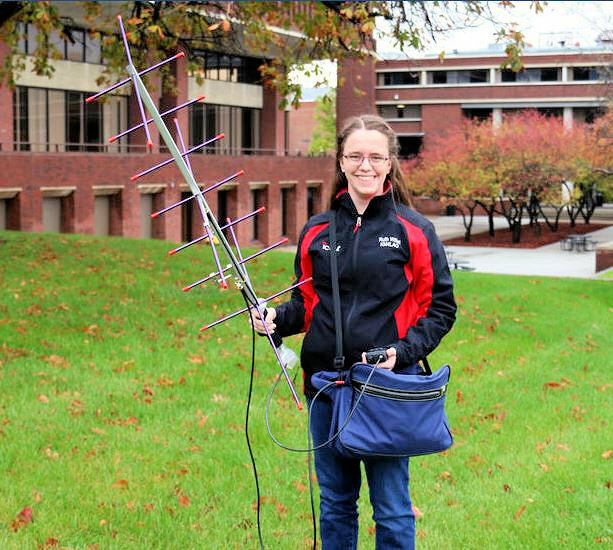 Ruth passed her Extra in May 2016 and as the president of the newly restarted amateur radio club at Kettering University works at recruiting student members and helping them get licensed. 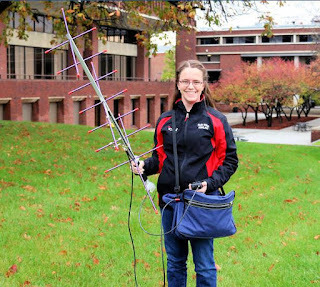 On her QRZ.com page she says:“There are so many things I love about Ham Radio — the community, the constant learning and the excitement of making a contact. I love having a new and different experience every time I get on the air! I love my voice privileges on HF, it is such fun to talk to hams around the world! I enjoy the benefits of being a YL and having a younger voice when seeking out contacts. Ruth enjoys participating in special events and contests and participated in both chasing and activating National Parks on the Air (NPOTA). At the 2017 Dayton Hamvention she was the keynote speaker at the annual DX Dinner and at the 30th Hamvention Youth Forum in 2017. Dxpedition - T88YL Palau, Micronesia. YL - Tatsuko, JJ1BDT will be active from Koror, Palau as T88YL during June 22-27, 2018. She is new to HF bands so asks for patience. QRV holiday-style on 40-17-15m, SSB/ QSL via JR1FKR. Palau is an island country located in the western Pacific Ocean. The country contains approximately 340 islands, forming the western chain of the Caroline Islands in Micronesia Palau shares maritime boundaries with the Philippines, Indonesia, and the Federated States of Micronesia. 2009, Palau announced that it would create the world's first shark sanctuary. Protecting about 600,000 square kilometres (230,000 sq mi) of ocean, a similar size to France.